When the Sunday School pioneers saw a need in their communities in the late eighteenth century, their response provoked a 200 year movement. These early Sunday Schools met a clear social need: that for basic education. By the 1960s, they faced rapid decline – a rigid institution amidst societal change. Over recent decades, Christian youth work has emerged as a response to further youth decline within churches. Many youth workers engage with young people’s self-perceived needs by delivering open-access youth provision in their local communities alongside more specifically Christian activities. Tensions emerge over whether the youth worker’s role is to serve community or church needs, with churches often emphasising the desire to see young people in services. 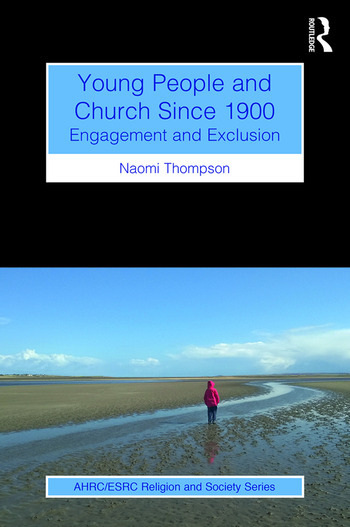 Drawing together historical and contemporary research, Young People and Church Since 1900 identifies patterns and change in young people’s engagement with organised Christianity across time. Through this, it provides a unique analysis of the engagement and exclusion of young people in three key time periods, 1900–1910, 1955–1972, and the present day. Whilst much commentary on religious decline has focused on changes external to churches, this text draws out the internal decisions and processes that have affected the longevity of Christianity in England. This book will be of interest to researchers and scholars of young people and Christianity in the twentieth century and today, as well as youth ministry students and practitioners and those interested in youth decline in churches more widely. Naomi Thompson is a Lecturer in Youth and Community Work at Goldsmiths, University of London. She has experience of research relating to young people and youth work. She specialises in young people and Christianity, with her PhD exploring the peak and decline of the Sunday School movement and the growth of Christian youth work. She has published on young people, youth work, and religion.